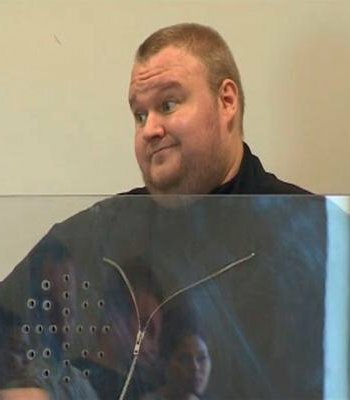 Following a New Zealand court ruling ordering the US Government to share all evidence relating to the criminal charges of the accused on Tuesday, attorneys representing Megaupload filed a notion in the Alexandria District Court to throw out the criminal copyright charges (PDF) brought against the file-sharing website due to lack of legal jurisdiction. "Megaupload does not have an office in the United States, nor has it had one previously," Megaupload's lawyers wrote in the motion filed with the District Court for the Eastern District of Virginia. "Service of a criminal summons on Megaupload is therefore impossible." The filing pointed out that even if the US was successful in extraditing Doctom, it would still be unable to satisfy the second part of rule 4. "The Federal Rules do not contemplate service of a criminal summons on a wholly foreign corporation without an agent or offices in the United States. Wholly foreign corporations, therefore, may not be prosecuted for alleged violations of federal criminal law unless they waive service. In short, a corporation such as Megaupload cannot be brought within the jurisdiction of this Court for criminal proceedings absent its consent." This marks an important point in the ongoing legal battle and follows an earlier hearing in which the court acknowledged that Megaupload not having been served was an "issue." In a remark that could prove very damaging to the US Government's case against the file-sharing website, the court even admitted that it "frankly didn't know that we are ever going to have a trial in this matter." Speaking on Radio New Zealand, Ira Rothken, a member of Megaupload's legal counsel said, "the law here in the United States is that you can't indict and then serve a company that does not have a presence in the United States [...] This case was flawed from the start, once this case gets dismissed it cannot be fixed." Dotcom's legal counsel also filed a second notion requesting (PDF) that assets seized as a result of the raid on his residence be unfrozen to allow them to fund their defense. The filing also highlighted the key points of argument should it reach court: "Patent law, from which the Grokster Court borrowed the 'inducement' rule is exclusively civil in nature," the brief stated. "There is no such thing as criminal liability for patent infringement." "The Government has stepped in to transmogrify the doctrine of secondary infringement, as fashioned by the courts for civil copyright cases, into a crime and to wield its prosecutorial pretrial powers to snuff out an innovative technology," Megauploads lawyers argued. The consequence of doing so would risk "upsetting the essential balance that Congress and the Supreme Court have taken such care to strike and maintain."